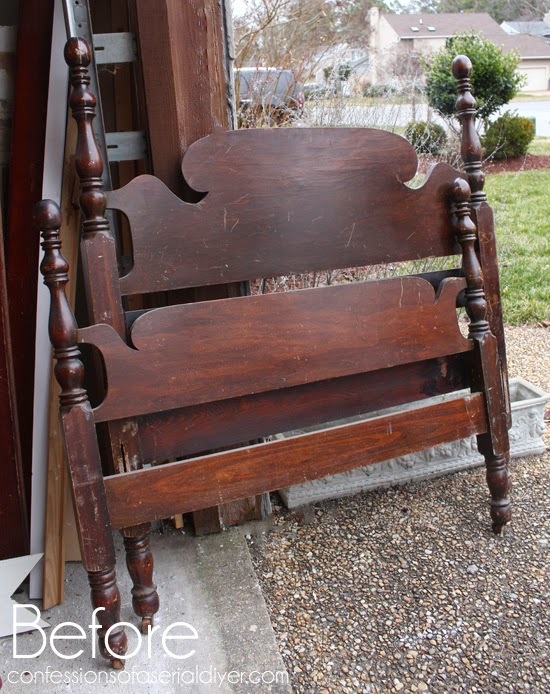 Kristi picked up this headboard and footboard for a whoppin' $30 and decided to make it into a bench. But she got a little daring... she went for colour this time. 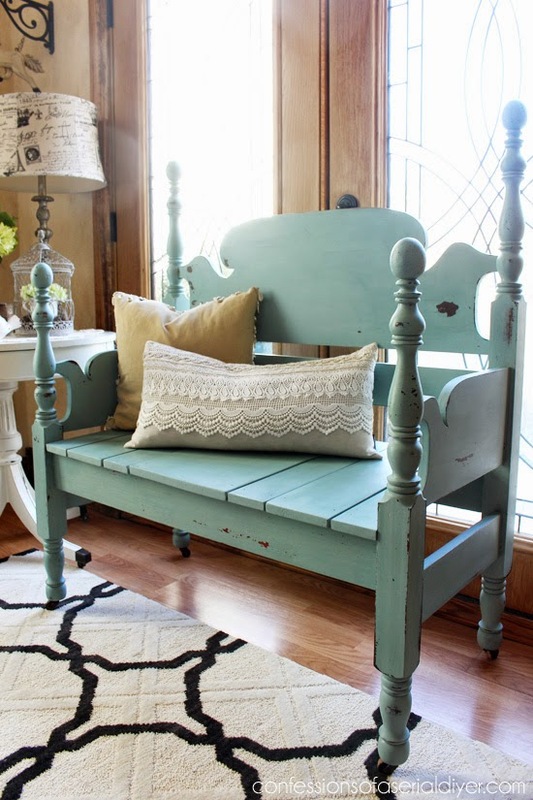 Generally playing it safe with neutrals, she landed an opportunity to try some milk paint. And this was the STUNNING result. Thanks so much for sharing, Donna!! I love Christy's bench! It is gorgeous, and I love the mason jar blue color. I don't think I've seen anything that she has done that I didn't like. She does beautiful work!